Having a fishing rod without a reel is like having a car without an engine. I’m sure some people can still find uses for them but generally speaking you can’t really have one without the other. There are countless spinning reels on the market today which makes it very difficult to truly know which one is best spinning reel for you. Often times this comes down to personal preference but sometimes you’ll find one that’s ideal for just about everyone. 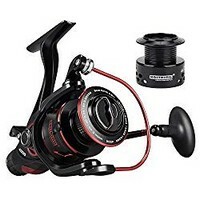 Below you will find the top 10 best spinning reels for the money in 2019. 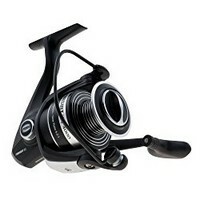 This reel features a full metal design which has been engineered to withstand those tough fights. The reels HT-100 Versa Drag system ensures that the reel remains cool and supple while under extremely heavy loads allowing the angler to subdue even the hardest pulling fish species. 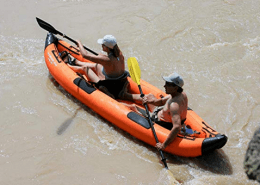 It’s fluid cranking and stainless steel ball bearings ensure both reliability and silky smooth cranking. The anti-reverse bearing helps to eliminate any back play so the angler can set the hook and land the fish without any interruption. The Penn Battle II is fitted with a rubber gasket in the spool to help prevent line slipping under pressure. This allows the fisherman to use braided line without monofilament backing. The spool also contains line capacity gauges at 1/3, 2/3, and full capacity allowing the angler to know exactly how much line he has left on the spool at a glance. The Shimano Spirex features an amazing array of new and improved elements to help the angler. This newly designed reel features the quick fire II one-handed casting system which allows you to cast out to those long distance spots. It’s constructed out of light weight graphite weighing in at just 1.5 pounds which can withstand the most rugged situations. 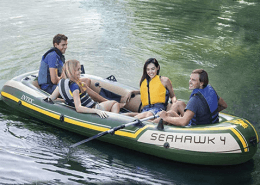 Its A-RB shielded stainless steel bearings allow for a silky smooth retrieval. The rubber handle ensures a lockjaw like grip during the toughest of battles and it’s rear drag system helps to ensure you win those battles every time. The gear ratio is slightly larger than medium-size allowing you to catch larger fish and handle them with ease. You can consistently cast your line at a more rapid rate with this reel in comparison to many others. This reel displays nearly a decade of R&D and you can truly admire the refinement and precision put into this reel. Okuma produces tournament grade reels that feature their patented live line bait feeding system. 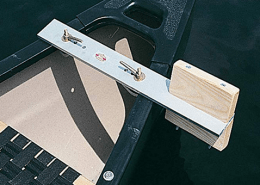 This bait feeding system allows the user to easily and simply disengage the spool to allow for free running line without the need to open the bail. This reel also features six stainless steel ball bearings which are completely sealed ensuring their longevity and smooth operation. It also offers countless other features such as a beautiful corrosion resistant graphite body which are accompanied with an extremely tough die-cast aluminum handle and machined aluminum knobs. This reel is extremely dependable and easy enough for even the most beginner of anglers to operate. Simply put, this reel is the real deal. This reel delivers amazing durability with one of the smoothest drags, something that every season angler demands. Its graphite construction allows for extreme rigidity while also providing extreme responsiveness. This reel will not flex or give under even the most extreme pressure. Its nine stainless steel ball bearings ensure its smooth operation and its anti-reverse bearing provides the angler with an improved crank control. It’s graphite body is complemented by its aircraft grade aluminum handle meaning this reel is designed to last for decades. Seasoned anglers will appreciate the exceptional pulling power largely due to this reels multidisc drag system. We can almost guarantee that all anglers, new and old, will appreciate this high quality spinning reel. KastKing have outdone themselves once again. 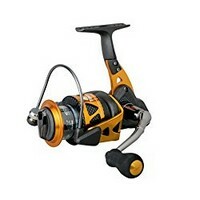 This reel is approved for both freshwater and saltwater fishing. It features stainless steel ball bearings that are shielded to ensure protection and smooth operation throughout the lifetime of this reel. KastKing’s Sharky Baitfeed IIII has a stainless steel main shaft and a 5.5:1 year ratio made up of precision alloy gears. Its carbon fiber drag washers ensure that even the toughest of fights are won, allowing drag up to 26.5 pounds. It’s corrosion free graphite body and computer balanced rotor ensure longevity and strength where it’s needed. In this reel wouldn’t be complete without their custom parade ready spool made from CNC’d aluminum. 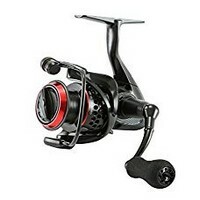 This reel has a beautiful red and black finish and also has the ability to change the handle from left to right depending on the user. After using this reel we guarantee you’ll feel like a pro whether you’ve been fishing for years or you’re a first-time angler. This reel is not only beautiful but its smooth operation allows the angler to truly enjoy their time outdoors. 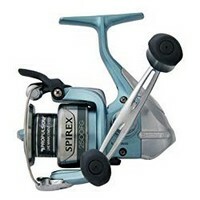 To start this best cheap spinning reel has an interchangeable left and right handle made of machined aluminum. Its corrosion free body insurers smooth operation throughout the years. 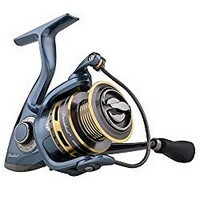 This reel has incredible stopping power largely due in part to the hardened metal main shaft, its machined pinion gear and its mesh driving gear. It also features corrosion resistant ball bearings and one instance stopped one way anti-reverse bearing. Not only do you get all of those features but this reel also comes with a spare spool! This reel is ready for the lake, river, stream, pond and ocean. You’ll be happy to have this reel on your side when you hook that trophy fish. For the price, this spinning reel is a must have. This best freshwater spinning reel delivers extreme power and control while ensuring optimal fish fighting power. It features both a graphite body and graphite rotor complemented by corrosion resistant aluminum side plates. Its drag system offers exceptional amounts of drag pressure without sacrificing its amazing smoothness. It features four completely shielded stainless steel ball bearings with an additional anti-reverse stainless steel ball bearing. 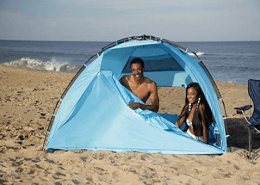 Its graphite body insurers it’s corrosion resistance whether fishing on freshwater or saltwater. Its ergonomic handle fits the hand of just about any user comfortably to ensure complete satisfaction during your fishing trip. This reel is one of the top selling reels on the market for reason. This reel features an amazing finish, but don’t mistake its beauty for weakness. 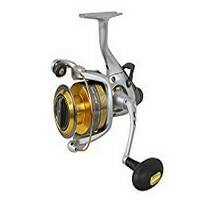 This reel is made of high-strength engineered materials and extremely durable metals making it both elegant and compact. It’s CNC machined aluminum alloy spool ensures that the line is evenly distributed across the entirety of the spool. Its custom-designed slotted spool design helps to alleviate the overall weight of this reel and the extra spool ensures that the angler can quickly and effortlessly change spools. 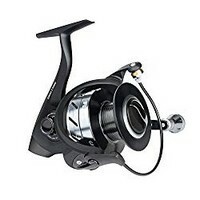 Its interchangeable handle ensures that both left and right handed fishers can use this reel comfortably and effectively this reel also features 10 stainless steel ball bearings in addition to one roller bearing to help maintain that silky smooth operation. That’s not all, you will also enjoy the ability to adjust its high quality drag knob helping to prevent line breakage during those hard fought battles. This fishing reel creates a fantastic and memorable experience for all anglers largely due in part to its smooth performance and sleek design. Okuma’s beautifully constructed drive system features eight bearings in their extremely unique precision elliptical gearing system. The machined aluminum spool creates an enormous amount of rigidity and strength it can be considered the foundation of this reel. It has an oversize line roller and a heavy duty solid aluminum bail wire to ensure anglers of all levels can properly and effectively use this as a part of their everyday arsenal. The rotor system is computer balanced to ensure stability and smoothness even when reeling at an extremely high rate of speed. This reel will not wobble like many others. This piece of hardware can be considered more than just your run-of-the-mill fishing gear. Size: Finding a reel that is sized appropriately for the fishing you plan on doing is essential. Getting the correct size can alleviate an extraordinary amount of frustration, difficulty and time. Generally speaking the size of your reel should correspond with the size of your crainkbait rod. The lighter the rod, the lighter the reel and vice versa. If you have a lighter rod you’ll more than likely use a smaller reel. More often than not 10 pound line should probably be the highest pound test you put on a spinning reel. 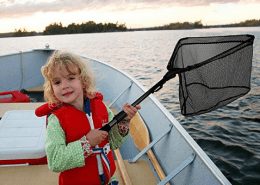 Some of the options you have are 6, 8, and 10 pound fishing line but of course this will be determined by the type of fish you plan on catching. It’s very common to find the specific braided line capacity for each reel on the side of the spool. Body: The body of the reel, sometimes referred to as the ‘housing’ is an extremely crucial part of the fishing reel. Most manufacturers construct their reels from aluminum, graphite or a combination of the two together. Graphite has more flex and play to it but is not nearly as strong as aluminum where aluminum is extremely strong and rigid but does not flex nearly as much. Commonly aluminum reels are better for freshwater use while graphite reels are great for saltwater fishing. The body or ‘housing’ should operate smoothly with all of its parts secure and functioning properly. You should not have any loose or grinding parts. Your choice of body should be determined by your specific fishing needs but you should take some of the considerations above into account. 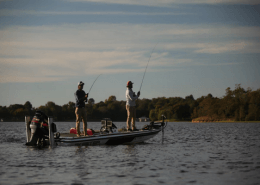 Drag: The drag system allows the angler to apply pressure to a hooked fish which keeps consistent pressure on the fish at all times while reeling them in. 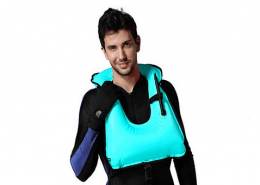 This allows you to control both the pace and tempo of the fight throughout its duration. 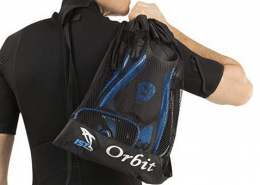 You want your drag to be extremely smooth and non-constrictive. This ensures your drag is operating properly. The location of your drag is determined by the reel itself, often times located at the front or the rear. Generally speaking rear drags are easily accessible to the angler while front drags contain more moving parts. This is where each angler’s personal preference comes into play in determining which reel is right for them. Gear ratio: A fishing reels gear ratio refers to the number of rotations the bail spins around the spool for a 360° turn of the handle. You need to keep in mind the spool is fixed, and the bail rotates around the spool. This ratio determines the speed of the reel and vary from reel to reel and also varies from spinning reels to baitcasting reels. The lower the ratio the slower the spin, the higher the ratio the faster the spin. Gear ratio needs to be taken into consideration prior to buying a fishing reel because often times the type of fish you plan on catching will help you determine the speed at which they should be reeled in.